For years I had heard of a petting farm somewhere in the north of Lanzarote but I never knew exactly where it was. When I visited the Lanzaloe Aloe Vera Plantation a couple of years ago I realised that the Pardelas Park petting farm was literally next door to it! In fact, it’s very easy to find: at the T-junction entering the village of Órzola, coming from Arrieta on the LZ-1, you turn left into the LZ-204 for about a kilometer inland, in the opposite direction of Órzola’s harbour. The sign at this junction reads: “Zoo – Granja Recreativa”. 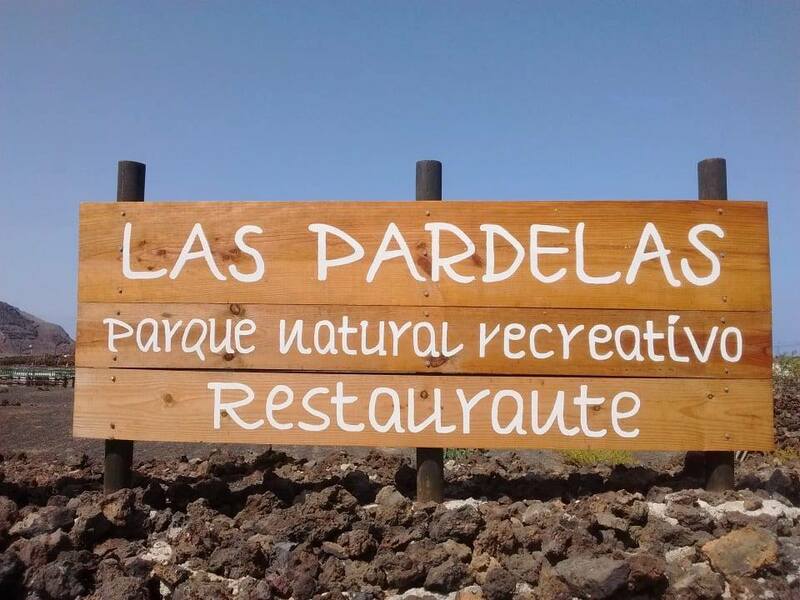 The sign on the road when you arrive reads: “Las Pardelas – Parque Natural Recreativo – Restaurante”. The opportunity to finally pay Pardelas Park a visit had presented itself, so off we went. When we arrived I was surprise at the scale of the whole place: there is ample off the road parking both for cars and buses. Then you go through some small wooden gates and walk into what looks like a botanical garden. There is a Children’s Play Park to your left and the toilets to your right, with reception/information point and the bar and restaurant directly ahead of you… a good few meters from the entrance. The place looked quiet enough – it was after lunch time that we arrived there – and we heard a voice coming from the doorway of reception: “come on in ladies!”. I was already busy taking photos of anything and everything! Jöel Dizy and his dad Carlos welcomed us when we walked in and they explain how the farm works: you are given a bucket with animal feed, straw and chopped veggies to feed the animals. Then Jöel took us to the outbuildings where the different animals are kept: a rabbit hutch with just one rabbit at the moment, pens for goats and sheep – we got to see a baby lamb that was born that very same day! – two ponies, one of them was quite demonstrative in his efforts to get fed and two donkeys and a big fat pig. Well, as soon as we approach the animals habitats a bunch of ducks, mainly domestic muscovy ducks, hens and cockerels came out of nowhere! Even a cheeky young goat came out of its enclosure and was mixing with his feathered friends. It was lovely to see all the animals interact, they certainly are not shy and they are well used to being around humans. Jöel left us to our own devices after showing us around and giving us some pointers but was never too far if we had any questions. Actually, Jöel and his more camera shy dad went out of their way to make us feel welcome and told us stories and anecdotes of the animals that have lived there, including rescued ones. For example we learnt that the pig’s name is “Chichita” (meaning “Little Flab” in Spanish), she is a 2 years and a half pot-bellied pig that was rescued from a hard life in Arrecife. Or “Payasa” (meaning “Clown” in Spanish), the 27 year old female donkey from Fuerteventura, which is also an endangered species. The work they do here certainly highlights the importance to preserve the local flora and fauna. Jöel ‘s dream for the future is to help change the preconception that people have of a farm for a morally better concept as centers where animals can recover and can have a dignified life. Pardelas Park doesn’t get get any subventions or grants from the government but there is a group of volunteers that help once a week, on Thursdays, with maintenance work making the animals areas more comfortable and secure. The Park is very grateful to this group of people that generously give up their free time to help them and the animals. Paredelas Park Park was inaugurated in some 22 years ago, back in 1996 and it’s a family run business. Spanish and English is spoken at the farm, which in fact spreads over approximately 65,000 square metres and it also showcases an interesting collection of endemic plants. I asked them about the name of the Park and they explained that “pardela” refers to the “pardela cenicienta”, which is the Spanish for Scopoli’s shearwater (Calonectris diomedea), a local endangered species. The opening hours of the Pardelas Park are from 10h to 19h in spring and summer and from 10h to 18h in autumn and winter. The opening hours of the bar are from 10th to 18h and the restaurant opens from 12h to 17h and it serves made to order Canarian food. €3.50 for children aged 2 to 13 years old; younger children don’t pay) or €2 for resident children. €4.50 for adults (from 14 years onward) or €2,50 for resident adults. These prices include the visit to the animals zone, the food to feed them and a pottery class. 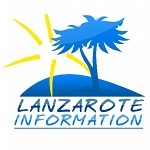 Children’s Park is free as long as you are making use of the services of the bar and restaurant and so is Information Point with very interesting books and information about Lanzarote and the Canaries. Another option for food is to bring your own and use their Picnic Area for €1 extra per person. Groups need to book prior to visiting and educational workshops (like gofio, recycling, agriculture…) are available upon request. Pardelas Park also offer birthday celebrations for kids at €5 per person which includes the rental of the room for the celebration, the visit to the animals and the pottery workshop. And they have a “teaming” fundraising page where people can support their fabulous work by donating €1 monthly: Teaming. You can find Pardelas Park on Facebook and Instagram where you can see more cute photos of the Park’s inhabitants and any new arrivals that they get. Their website which is slightly out of date: for example, donkey rides are no longer being offered, because they come to realise that they don’t morally agree with them anymore. Pardelas Park is located on Calle La Quemadita, 88 in Órzola. Their phone number is +34 928 84 25 45 and their email is laspardelaspark@gmail.com. Portonovo 22 is a fantastic value one bedroom apartment in the old town of Puerto del Carmen, with sea views and a communal swimming pool.